Currently the fastest-growing game on Facebook, FarmVille 2 is a bright spot for the financially troubled social gaming masters at Zynga. Its 3D graphics and crafting system have drawn in new players and kept them in the game (that's me testifying). So it's no surprise that the newly-revealed CityVille 2 features the same friend-driven gameplay of the original, plus 3D graphics and crafting. 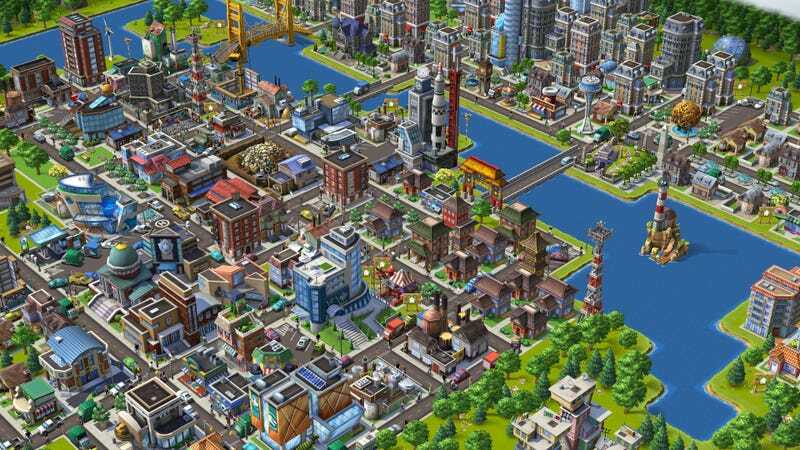 There is a formula, FarmVille 2 changed that formula, so CityVille 2 brings Zynga's brand of city building in line with the new order. The developer isn't saying much currently—the game is currently in testing—but they have shown screens featuring the shiny new graphics and what seems to be a day/night cycle. The rotation of the Earth around the sun aside, the sequel looks even closer to SimCity Social, a game currently eating up tiny chunks of our editor-in-chief's day. Will he switch once CityVille 2 comes out? Who knows what goes on inside that man's head? Me, I'll be on my farm. You city folk are welcome to visit, but don't take anything. I'm watching you.